Transit Australia Group bus drivers in Townsville stopped work at 5am this morning and their TAG colleagues on the Sunshine Coast will take similar action from 4.30am on Friday. The drivers are striking as a result of breakdowns in negotiations with TAG over Fair Work Enterprise Agreements. Both work stoppages were initiated by the TWU and are ‘legal’ under protected action ballots. Townsville’s Sunbus drivers will return to work at 5am tomorrow, while Sunshine Coast drivers will strike from Friday morning until 4.30am on Saturday. 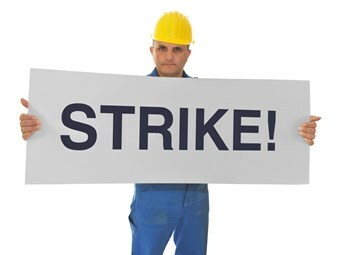 According to the TWU, TAG has issued staff bulletins indicating their depots at Sunbus Townsville, Hermit Park and Magnetic Island will be locked down for the period of the industrial action. This means that all drivers working from those depots will not be working for the period of the industrial action regardless of whether they are members of the TWU. In a statement released by TWU Queensland Branch Secretary Hughie Williams, Transit Australia Group has made no secret of its plans to take its drivers back to Award rates of pay. "The TWU and its members will be fighting to ensure that this does not happen and that bus drivers receive above award rates of pay that better reflect the level of responsibility that they carry and the sometimes difficult conditions under which they work," Williams says. "The TWU and its members regret any inconvenience that the industrial action may cause to the travelling public." Williams recently lost a ballot for his job as TWU State Secretary, defeated by Peter Biagini who takes over as Queensland’s transport union boss on January 10.